The US Department of State and Defense Security Cooperation Agency (DSCA) have formally signed-off on a US$240.5 million foreign military sale (FMS) for Raytheon to support Australia’s introduction of the National Advanced Surface to Air Missile System (NASAMS) and LAND 19 Phase 7B program. As part of the deal, the Australian government requested up to 108 Raytheon AIM-120C-7 Advanced Medium-Range Air-to-Air Missiles (AMRAAM), six AIM-120C-7 AMRAAM Air Vehicles Instrumented; and six spare AIM-120C-7 AMRAAM guidance sections. 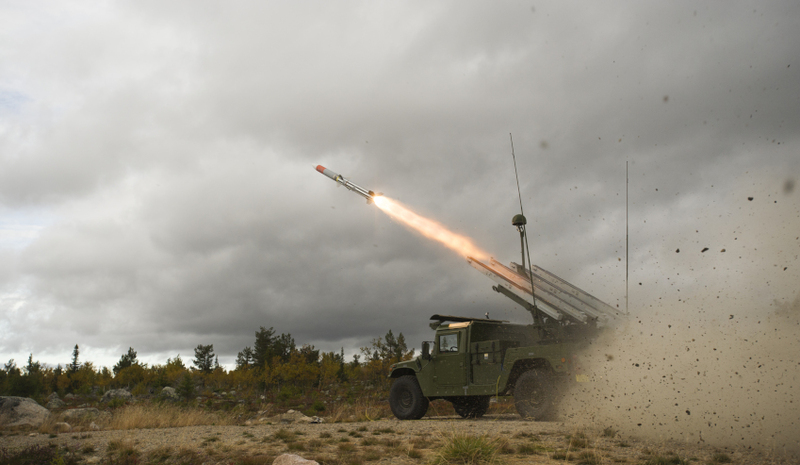 Designed collaboratively with Norwegian partner Kongsberg Defence and Aerospace, Raytheon's NASAMS platform incorporates a modular, open hardware and software architecture system. The Australian government confirmed the selection of the NASAMS system in 2017, with Raytheon Australia identified as the prime systems integrator supporting the delivery of the Army's future Short Range Ground Based Air Defence capability. NASAMS is a state-of-the-art weapon system that will enable the Army to quickly detect, engage, and destroy aircraft, unmanned aerial vehicles and cruise missile threats. Further, NASAMS will reduce the effect of indirect weapons through the provision of a Counter Rocket Artillery and Mortar (C-RAM) Sense, Warn and Locate capability. The NASAMS platform will fill a critical capability gap within the ADF's existing ground-based air defence capabilities by providing early warning and targeting information against threats to deployed forces. As a critical component of the NASAMS platform, Raytheon's AIM-120C AMRAAM missile serves as the core 'firing solution' for the NASAMS platform and builds on Australia's long history of using the AMRAAM system. The Royal Australian Air Force's fleet of Classic Hornet, Super Hornet and future F-35A currently use the AIM-120C AMRAAM system as their primary BVR air-to-air missile system, with the Army's acquisition to minimise logistics and supply chain burdens while enhancing interoperability, lethality and capability. Additionally, the US$240.5 million contract includes containers, weapon system support equipment, support and test equipment, site survey, transportation, repair and return warranties, spare and repair parts, publications and technical data, maintenance, personnel training and training equipment, US government and contractor representative engineering, logistics, and technical support services, and other related elements of logistics support. The approximately $2 billion LAND 19 Phase 7B project will serve as the inner most layer of Australia's planned Integrated Air and Missile Defence (IAMD) and battlespace communications system, which will be supported by a series of broader service programs including the AIR 6500, SEA 4000 Hobart Class Air Warfare Destroyers, and SEA 5000 Hunter Class Future Frigate multi-layered IAMD Battle Command System (IBCS) capability. Raytheon Australia is working closely with the government and Department of Defence to maximise the amount of Australian industry capability for the LAND 19 Phase 7B program. To date, Raytheon Australia has engaged with hundreds of Australian suppliers and SMEs, drawing on he expertise of more than 30 people across Raytheon Australia, with the LAND 19 Phase 7B program expected to support more than 200 jobs across the country.